Step 1: First you'll need to find a medium size candy jar with a lid. I found a variety of styles at local thrift stores, an army surplus store in our area called Smith & Edwards and even a Dollar Store or two. You'll also need to pick up average size glass candle sticks. Take a grocery sack and wrap around the jar, tucking the bag inside the jar and place the lid back on the jar. Step 2: In a well ventilated area spray paint the lid and the candle stick with the same color. I found that rustolium spray paint worked the best. Cheaper versions were very temperamental for me and would either bubble, crackle drip. The other thing I noticed was if the glass is too cold or two hot then the paint has issues, so room temperature is best. I thought I would share some ideas for a couple quick and very simple holiday decor ideas for the upcoming holiday. I used my Cricut on these girls and because they were originally published in the Cricut Circle e-Magazine I can't share specifics. But I hope it will inspire you a bit. 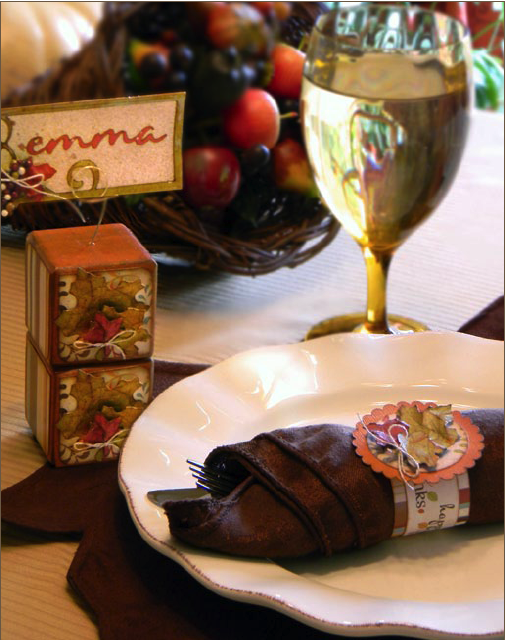 For your Holiday table setting cover some wood blocks from the craft store with paper. I hammered a small nail in the top and then removed it and placed bent wire in the top with a bit of glue. The wire is bent in a spiral so I could then place the nameplates in the top of each block (example shows 2 blocks on top of each other, but I would just use one). A fun technique I used on the paper leave was cutting them out, spritzing them with a brown glitter misty, crinkling them up and setting them aside to dry. They look just like fall leaves!! 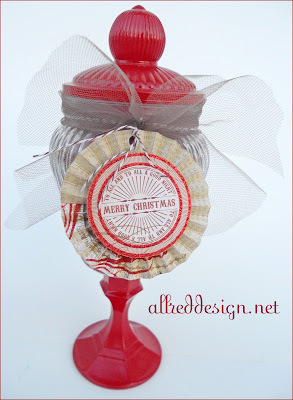 I loved using the pumpkin embossing plate as the background and need to do that more often, isn't it yummy? Then of course I broke out my Glimmer Mists to mist my pumpkin and I loved crinkling up the leaf and inking it for a more realistic texture. By the way, the stem is just twisted paper, looks real right? 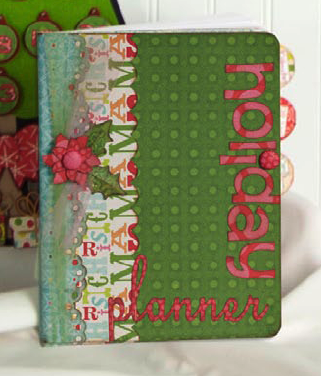 Supply List: Apple Cider Collection by Imaginisce, Assorted Cardstocks, Cricut & Cuttlebug Embossing Plate.